Last time we talked about Esmod, I wasn’t very happy, obviously. But I have decided during the last days there to cut down on my prejudice and my procrastinating skills, in order to end up this journey with at least some efforts coming my way. The theme I have decided to build the collection on was more or less the night, or as I titled my moodboard, the “Philosophy of Desire”. At first, I wasn’t inspired to start out the collection but then when I had to force, my imagination came back slowly. 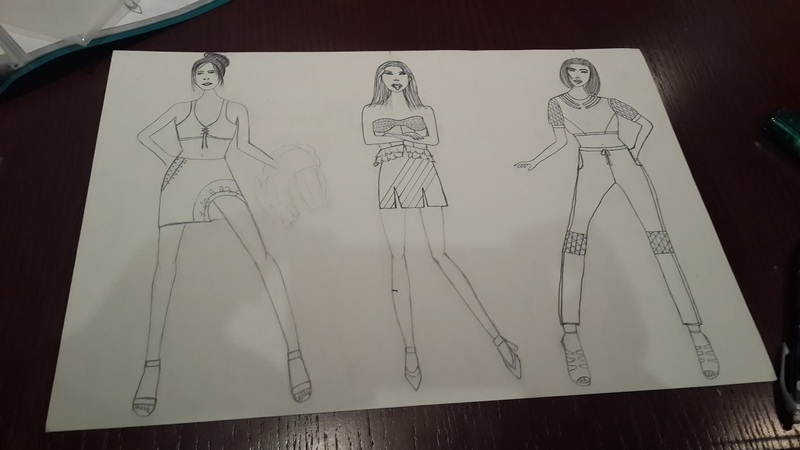 I started drawing sketches of my mannequins and rough doodles of the clothes I wanted them to wear. After that, I finalized on an A3 paper a mini representation of my collection and moodboard. If I threw a couple of looks at the table, it was to admire the beautiful capsule collections of my friends or give some advice but also ask for some. I couldn’t finish coloring my collection at Esmod so I did at home. All in all, If I want to discuss the quality/price ratio is low; the 1200$ tuition for the course were judged too much by the majority of the class for a month of what was offered (we had to buy our own color pencils, copybooks, papers, etc). I mean I could buy a book that could teach me everything about design for even less than 10% of the price. From another perspective, what we payed for are the price of the certificate I get to add on my CV and the special encounters that has nurtured my individuality. Yet, the campus extends to one floor and a half, (with offices more than student rooms) and street surrounding, which I have said countless of times, “doesn’t resemble to Beirut city”. The cafeteria of the building leaves nothing to desire: No appropriate snack, still, the first two days they only had water. 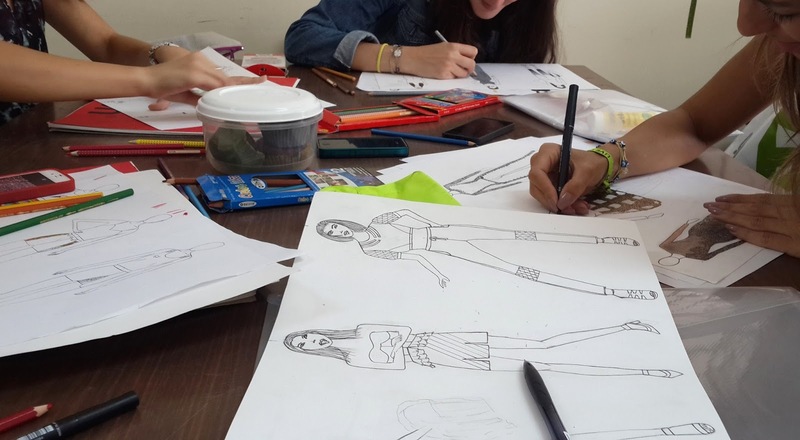 With the rising popularity of Elie Saab’s design school at LAU (the Lebanese American University), Esmod Beirut would have to throw in a respectable investment in order to hear its name scream out again in Lebanon. 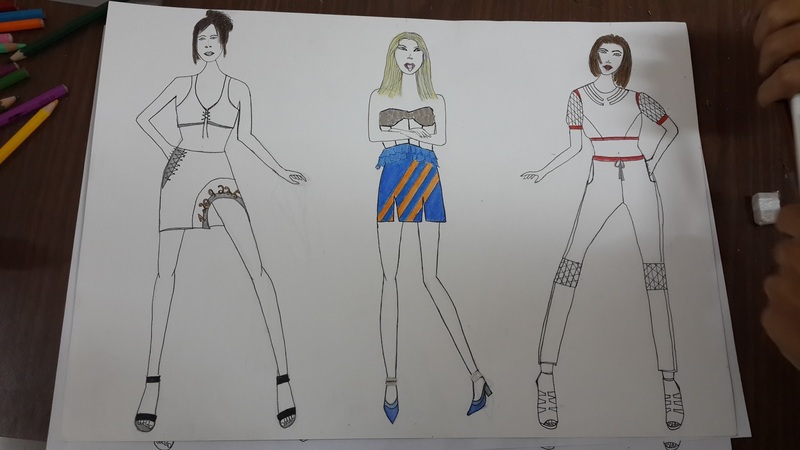 What I have to mention last is that I am leaving with a baggage that includes knowledge about the types of clothes and fabrics, a skill in designing a collection and sketch mannequins, and the realization that being a designer is a hair-pulling and imagination-straining job. Good luck if you are still hoping!—I am. How far am I now from my first impressions? tu es dans une ecole de design?? ?